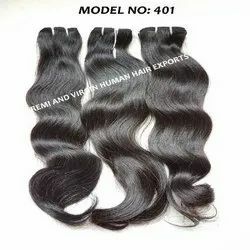 Leading Manufacturer of premium quality remy hair, 9a indian remy hair, single drawn hair, remy single drawn hair, 9a premium indian remy human hair and indian remy hair extension from Ludhiana. 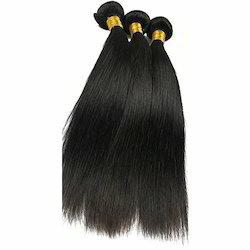 We are the manufacturer of Premium Quality Remy Hair. We supply to sell wholesale Indian hair in India without any mixing. This hair is authentic, virgin hair. We offer to sell low prices in the market. We sell high quality Indian natural hair with natural color. It’s available in 10 to 30 inch hair lengths. It is 100 % temple raw hair. It is natural human hair with natural shine and smoothness. We sourced all hair from south Indian temple hair. Its best quality unprocessed raw hair. Our clients can avail from us superior quality Indian Best Remy Human Hair, which is processed under the guidance of skilled professionals. It is appreciated for light weight, easy to maintain, silkiness and durability, thereby widely demanded in the market. Moreover, we offer this hair in various colors, lengths, patterns and styles to fulfill the wide needs of the clients. In order to avoid any kind of side effects, this hair is thoroughly tested on various parameters. We are leading manufacturer of Single Drawn HairWe supply to sell wholesale Indian hair in India without any mixing. This hair is authentic, remy virgin human hair. We offer to sell low prices in the market. We sell high quality Indian natural hair with natural color. This natural color hair can be dye and bleach to change the color of the hair. It’s available in 10 to 30 inch hair lengths. It is 100 % temple raw hair. These hairs can be easily restyled. It is natural human hair with natural shine and smoothness. 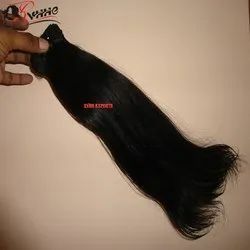 We Are Leading Preparer of Remy Single Drawn Hair We Supply to Sell Wholesale Indian Hair in India Without Any Mixing. This Hair is Authentic, Remy Virgin Human Hair. We Offer to Sell Low Prices in the Market. We Sell High Quality Indian Natural Hair With Natural Color. This Natural Color Hair Can Be Dye and Bleach to Change the Color of the Hair. It’s Available in 10 to 30 Inch Hair Lengths. It is 100 % Temple Raw Hair. These Hairs Can Be Easily Restyled. It is Natural Human Hair With Natural Shine and Smoothness. 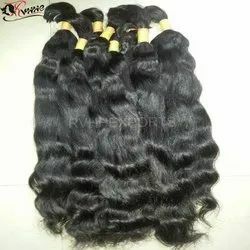 We are leading manufacturer of 9A Premium Indian Remy Human Hair We supply to sell wholesale Indian hair in India without any mixing. This hair is authentic, remy virgin human hair. We offer to sell low prices in the market. We sell high quality Indian natural hair with natural color. This natural color hair can be dye and bleach to change the color of the hair. It’s available in 10 to 30 inch hair lengths. It is 100 % temple raw hair. These hairs can be easily restyled. It is natural human hair with natural shine and smoothness. Backed by a team of creative and skilled designers, we are engaged in manufacturing, wholesaling, exporting and supplying an excellent range of Indian Remy Hair Extension. This hair extension is made available in different shades & lengths according to the variegated demand of customers. Offered hair extension is processed hygienically under the direction of experts using advance processing techniques. In order to avoid any kind of side effects, this hair extension is thoroughly tested on various parameters. 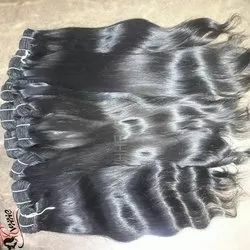 We Are Leading Preparer of Single Drawn Indian Remy Hairwe Supply to Sell Wholesale Indian Hair in India Without Any Mixing. This Hair is Authentic, Remy Virgin Human Hair. We Offer to Sell Low Prices in the Market. We Sell High Quality Indian Natural Hair With Natural Color. This Natural Color Hair Can Be Dye and Bleach to Change the Color of the Hair. It’s Available in 10 to 30 Inch Hair Lengths. It is 100 % Temple Raw Hair. These Hairs Can Be Easily Restyled. It is Natural Human Hair With Natural Shine and Smoothness. 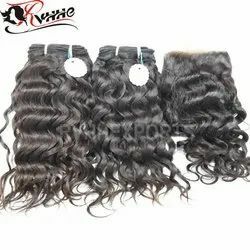 We Are Leading Preparer of 100% Remy Indian Human Hair Extension We Supply to Sell Wholesale Indian Hair in India Without Any Mixing. This Hair is Authentic, Remy Virgin Human Hair. We Offer to Sell Low Prices in the Market. We Sell High Quality Indian Natural Hair With Natural Color. This Natural Color Hair Can Be Dye and Bleach to Change the Color of the Hair. It’s Available in 10 to 30 Inch Hair Lengths. It is 100 % Temple Raw Hair. These Hairs Can Be Easily Restyled. It is Natural Human Hair With Natural Shine and Smoothness. 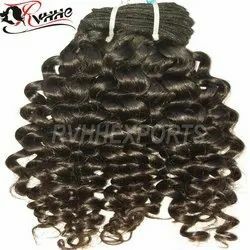 We are leading manufacturer of Remy Human Hair Machine WeftWe supply to sell wholesale Indian hair in India without any mixing. This hair is authentic, remy virgin human hair. We offer to sell low prices in the market. We sell high quality Indian natural hair with natural color. This natural color hair can be dye and bleach to change the color of the hair. It’s available in 10 to 30 inch hair lengths. It is 100 % temple raw hair. These hairs can be easily restyled. It is natural human hair with natural shine and smoothness. We are leading manufacturer of Indian Remy Human Hair ExtensionWe supply to sell wholesale Indian hair in India without any mixing. This hair is authentic, remy virgin human hair. We offer to sell low prices in the market. We sell high quality Indian natural hair with natural color. This natural color hair can be dye and bleach to change the color of the hair. It’s available in 10 to 30 inch hair lengths. It is 100 % temple raw hair. These hairs can be easily restyled. It is natural human hair with natural shine and smoothness. 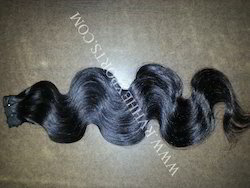 we are leading manufacturer of natural remy indian human hair. We supply to sell wholesale indian hair in india without any mixing. This hair is authentic, remy virgin human hair. We offer to sell low prices in the market. We sell high quality indian natural hair with natural color. This natural color hair can be dye and bleach to change the color of the hair. It’s available in 10 to 30 inch hair lengths. It is 100 % temple raw hair. These hairs can be easily restyled. It is natural human hair with natural shine and smoothness. 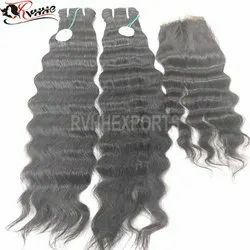 We are leading manufacturer of Remy Indian Human Hair Extension We supply to sell wholesale Indian hair in India without any mixing. This hair is authentic, remy virgin human hair. We offer to sell low prices in the market. We sell high quality Indian natural hair with natural color. This natural color hair can be dye and bleach to change the color of the hair. It’s available in 10 to 30 inch hair lengths. It is 100 % temple raw hair. These hairs can be easily restyled. It is natural human hair with natural shine and smoothness. We are leading manufacturer of 9A Indian HairWe supply to sell wholesale Indian hair in India without any mixing. This hair is authentic, remy virgin human hair. We offer to sell low prices in the market. We sell high quality Indian natural hair with natural color. This natural color hair can be dye and bleach to change the color of the hair. It’s available in 10 to 30 inch hair lengths. It is 100 % temple raw hair. These hairs can be easily restyled. It is natural human hair with natural shine and smoothness. We are leading manufacturer of Natural Indian Remy Human Hair ExtensionWe supply to sell wholesale Indian hair in India without any mixing. This hair is authentic, remy virgin human hair. We offer to sell low prices in the market. We sell high quality Indian natural hair with natural color. This natural color hair can be dye and bleach to change the color of the hair. It’s available in 10 to 30 inch hair lengths. It is 100 % temple raw hair. These hairs can be easily restyled. It is natural human hair with natural shine and smoothness. We are leading manufacturer of Remy Indian Hair. We supply to sell wholesale Indian hair in India without any mixing. This hair is authentic, remy virgin human hair. We offer to sell low prices in the market. We sell high quality Indian natural hair with natural color. This natural color hair can be dye and bleach to change the color of the hair. It’s available in 10 to 30 inch hair lengths. It is 100 % temple raw hair. These hairs can be easily restyled. It is natural human hair with natural shine and smoothness. 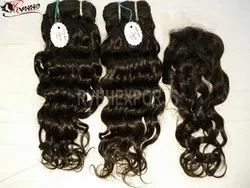 We Are Leading Preparer of 9a Indian Remy Human Hair Weft. We Supply to Sell Wholesale Indian Hair in India Without Any Mixing. This Hair is Authentic, Remy Virgin Human Hair. We Offer to Sell Low Prices in the Market. We Sell High Quality Indian Natural Hair With Natural Color. This Natural Color Hair Can Be Dye and Bleach to Change the Color of the Hair. It’s Available in 10 to 30 Inch Hair Lengths. It is 100 % Temple Raw Hair. These Hairs Can Be Easily Restyled. It is Natural Human Hair With Natural Shine and Smoothness. 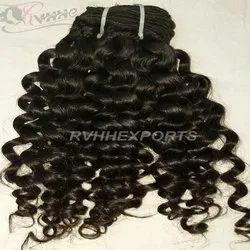 We are leading manufacturer of Remy Indian Human HairWe supply to sell wholesale Indian hair in India without any mixing. This hair is authentic, remy virgin human hair. We offer to sell low prices in the market. We sell high quality Indian natural hair with natural color. This natural color hair can be dye and bleach to change the color of the hair. It’s available in 10 to 30 inch hair lengths. It is 100 % temple raw hair. These hairs can be easily restyled. It is natural human hair with natural shine and smoothness. We are known as the leading manufacturer, exporter, wholesaler and supplier of a wide range of Natural Remy Human Hair. This is processed using optimum quality hair that is hackled and trimmed on one side. This is processed using high quality hair and advanced technology in compliance with the international quality standards. The offered range comprises various natural colors, fine texture, glossy look, smooth touch and consistent length. 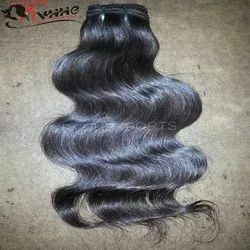 We are leading manufacturer of Single Drawn Human HairWe supply to sell wholesale Indian hair in India without any mixing. This hair is authentic, remy virgin human hair. We offer to sell low prices in the market. We sell high quality Indian natural hair with natural color. This natural color hair can be dye and bleach to change the color of the hair. It’s available in 10 to 30 inch hair lengths. It is 100 % temple raw hair. These hairs can be easily restyled. It is natural human hair with natural shine and smoothness. Our valuable clients can avail from us an exclusive range of Striaght Remy Human Hair that is offered in different textures, colors and lengths. This hair is highly acknowledged in the market for smooth texture, light weight and long lasting shine. We assure our clients that this human hair is free from any kind of side effects. Our offered range is highly durable, easy to maintain and give very natural look. Moreover, clients can avail the offered Remy hair from us at very genuine price. 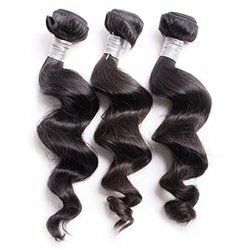 We Are Leading Preparer of Pure Remy Human Hair Extension we Supply to Sell Wholesale Indian Hair in India Without Any Mixing. This Hair is Authentic, Remy Virgin Human Hair. We Offer to Sell Low Prices in the Market. We Sell High Quality Indian Natural Hair With Natural Color. This Natural Color Hair Can Be Dye and Bleach to Change the Color of the Hair. It’s Available in 10 to 30 Inch Hair Lengths. It is 100 % Temple Raw Hair. These Hairs Can Be Easily Restyled. It is Natural Human Hair With Natural Shine and Smoothness. 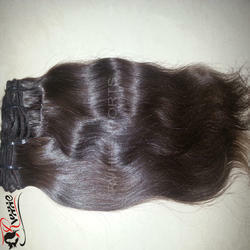 We are leading manufacturer of Temple Remy Hair. We supply to sell wholesale Indian hair in India without any mixing. This hair is authentic, remy virgin human hair. We offer to sell low prices in the market. We sell high quality Indian natural hair with natural color. This natural color hair can be dye and bleach to change the color of the hair. It’s available in 10 to 30 inch hair lengths. It is 100 % temple raw hair. These hairs can be easily restyled. It is natural human hair with natural shine and smoothness. 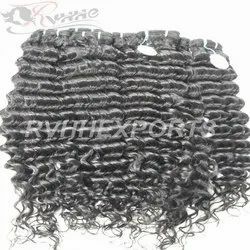 We Are Leading Preparer of Soft Remy Hair Machine Weft We Supply to Sell Wholesale Indian Hair in India Without Any Mixing. This Hair is Authentic, Remy Virgin Human Hair. We Offer to Sell Low Prices in the Market. We Sell High Quality Indian Natural Hair With Natural Color. This Natural Color Hair Can Be Dye and Bleach to Change the Color of the Hair. It’s Available in 10 to 30 Inch Hair Lengths. It is 100 % Temple Raw Hair. These Hairs Can Be Easily Restyled. It is Natural Human Hair With Natural Shine and Smoothness. 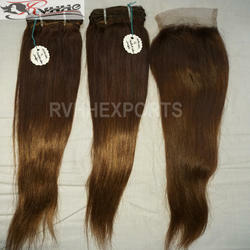 We are the leading company manufacturing a wide range of Remy Hair. We have set up state-of-the-art processing facilities that assist us in ensuring fast and qualitative production of artificial human hair. Moreover, we have installed our production unit with sophisticated machinery and tools. We are well equipped with sewing machine, implanting machine, and other special purpose machines. All these help us in ensuring proper processing of our range of All Types of Human Hair. We are the manufacturer and Exporter of Remy Hair. Our range of Remy Hair is accepted on global scales. Remy Hair enhance natural appear of the hair style. We supply to sell Remy Hair without any mixing. This hair is authentic, remy human hair. We offer to sell low prices in the market. We sell high quality Indian natural hair with natural color. This natural color hair can be dye and bleach to change the color of the hair. It’s available in 8 to 30 Inch hair lengths. This is beautiful Indian Remy hair style extensions. It’s very famous for natural wav style and for silky smooth texture. These hairs are 100% tangle free natural human hair. This hair can be restyle and color. We have finest quality Single Drawn Remy Hair. We supply strong smooth hair extensions without hair falling. We present 100% Indian and Brazilian remi human hair extensions. Texture is silky soft with subtle waves. Nicest feel and touch - Remy hair is stronger. Remy hair is soft and has a finer feel to it. This is the hair that movie stars and rich people use. It is so nice, that everybody who tries it loves it. Remy hair lasts longer, keeps vitality and elasticity. 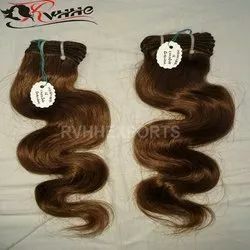 We are leading manufacturer of Indian Remy Human HairWe supply to sell wholesale Indian hair in India without any mixing. This hair is authentic, remy virgin human hair. We offer to sell low prices in the market. We sell high quality Indian natural hair with natural color. This natural color hair can be dye and bleach to change the color of the hair. It’s available in 10 to 30 inch hair lengths. It is 100 % temple raw hair. These hairs can be easily restyled. It is natural human hair with natural shine and smoothness. We are manufacturer and exporter of high quality human hair products. Our product range is machine weft, bulk hair, wigs, keratin’s and lace closure. All the hairs which we put up for sale 100% human hair and its tangle free silky smooth human hair. 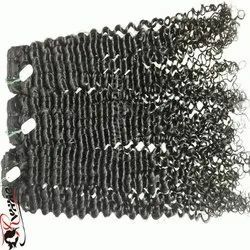 We are going to introduce with lace closure in curly style. 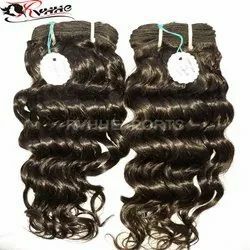 It is also available in straight and wavy styles. We sell closures in natural color human hair so that you can also change the color according to your requirement. 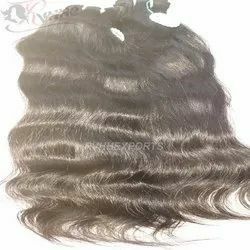 We Are Leading Preparer of Raw Indian Remy Human Hair We Supply to Sell Wholesale Indian Hair in India Without Any Mixing. This Hair is Authentic, Remy Virgin Human Hair. We Offer to Sell Low Prices in the Market. We Sell High Quality Indian Natural Hair With Natural Color. This Natural Color Hair Can Be Dye and Bleach to Change the Color of the Hair. It’s Available in 10 to 30 Inch Hair Lengths. It is 100 % Temple Raw Hair. These Hairs Can Be Easily Restyled. It is Natural Human Hair With Natural Shine and Smoothness. We are leading manufacturer, exporter, wholesaler and supplier of Remy Human Hair. Our offered hair is known for natural shine, silkiness and easy to maintain thereby widely demanded in the market. The offered hair is available in different colors, lengths, and textures this can also be customized as per the needs of clients. This hair is strictly inspected on various parameters by our skilled quality control agents. Clients can avail this hair from us at pocket friendly price. 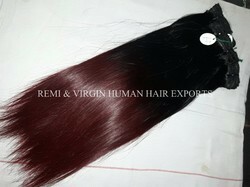 We are leading manufacturer of Remy Human Hair Extension. We supply to sell wholesale Indian hair in India without any mixing. This hair is authentic, remy virgin human hair. We offer to sell low prices in the market. We sell high quality Indian natural hair with natural color. This natural color hair can be dye and bleach to change the color of the hair. It’s available in 10 to 30 inch hair lengths. It is 100 % temple raw hair. These hairs can be easily restyled. It is natural human hair with natural shine and smoothness. 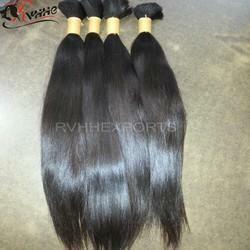 All these assist us in ensuring proper processing of our range of All Types of Remy Human Hair Extension. 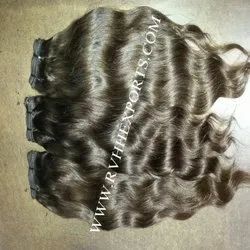 We sell Indian Remy hair on very levelheaded prices. This is high eminence well washed clean human hair. 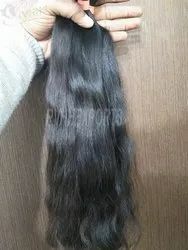 We trade 100% Indian temple human hair. 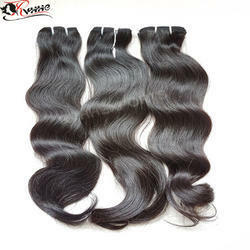 We are leading manufacturer of Remy Single Drawn Human Hair Extension. We supply to sell wholesale Indian hair in India without any mixing. This hair is authentic, remy virgin human hair. We offer to sell low prices in the market. We sell high quality Indian natural hair with natural color. This natural color hair can be dye and bleach to change the color of the hair. It’s available in 10 to 30 inch hair lengths. It is 100 % temple raw hair. These hairs can be easily restyled. It is natural human hair with natural shine and smoothness. We are leading manufacturer of Single Drawn Human Hair Extension. We supply to sell wholesale Indian hair in India without any mixing. This hair is authentic, remy virgin human hair. We offer to sell low prices in the market. We sell high quality Indian natural hair with natural color. This natural color hair can be dye and bleach to change the color of the hair. It's available in 8 to 30 inch hair lengths. It is 100 % temple raw hair. These hairs can be easily restyled. It is natural human hair with natural shine and smoothness. 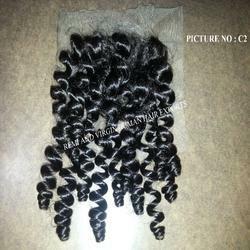 We are leading manufacturer of Curly Human Hair We supply to sell wholesale Indian hair in India without any mixing. This hair is authentic, remy virgin human hair. We offer to sell low prices in the market. We sell high quality Indian natural hair with natural color. This natural color hair can be dye and bleach to change the color of the hair. It’s available in 10 to 30 inch hair lengths. It is 100 % temple raw hair. These hairs can be easily restyled. It is natural human hair with natural shine and smoothness.